Long-termers (3-5 yrs. in one location) and Short-termers (1-3 years); you will be in the same church for up to three years. There will be a new church assignment with each term, which may or may not necessitate a move. Some missionaries will work with the same mother church to plant a second daughter church. Others may work with the new daughter church to plant another church from the new church. Still others may move to a completely different church for the next term. Japanese based ministry (80%+ of the time); living as one of the Japanese Christians. Function just like a Japanese leader in the church. Pastor sees you as fellow minister(s), with high expectations upon you. Broadly defined (i.e., evangelize, disciple, multiply); expected to evangelize and disciple directly; building evangelistic relationships is main priority. As an evangelist & discipler, raise up leaders from non-Christians, and build strong working relationships with the Japanese pastor and church members. Create your own schedule under little ministry structure. Requires a lot of personal drive, initiative. Clear goals with flexible methods. Serving in new ways. Workers serve in a pioneering ministry; not an existing job or role. Job is very personalized; you make your own job. Asian Access never starts its own churches in Japan. We always work in partnership with a Japanese pastor and an existing local church. Asian Access is absolutely committed to national leadership. From day one, there is a Japanese pastor or lay person in charge of the church planting team. The missionary, who is never the primary pastor, is there to support the Japanese-led church planting effort. The daughter church will follow the denominational affiliation and church organization of the mother church. Asian Access only works with churches that subscribe to our statement of faith and have a commitment to evangelism and church planting. However, those congregations have a variety of styles of church structure. Asian Access is looking for churches in North America with a desire to plant churches. If your local church might be interested in partnering with Asian Access to help a Japanese church multiply, please let us know of your interest by posting on the forum. "Mitsu no kyokai ga areba, kantan ni dekiru! In English, "If you have just three churches, you can do [church multiplication] easily." In context, Rev. Chida's made the point that even though church planting/multiplication is hard work, it is made "doable," relatively simple and enjoyable when you are part of a network of pastors doing it simultaneously. "Any group of pastors and churches can multiply churches... if they just do it together. It's not rocket science!" It shouldn't be surprising, then, that each of those five congregations did multiply within two-and-one-half years. And one year later, the parent churches and the new church plants are preparing to multiply again. Now that's church multiplication. Pastor Hiroshi Kawasaki established new church Yamagata Christian Fellowship through this "church planting by networking"
The Lord desires that Japan be evangelized. We are called to witness and to plant as many churches as possible. A healthy church is one that establishes itself while starting other churches. Church planting is not an easy task. Many churches in Japan have been involved in church planting, but the results have not always been encouraging. There is, of course, no one method for planting churches, but we must strive to develop the most effective strategy possible. Let me introduce a strategy that we have been using in cooperation with Asian Access' Japan Church Growth Institute, testing it in Yamagata Prefecture since 1996. It is called "Church Planting by Networking." In order to properly appreciate what has happened in this effort, please remember that compared to the rest of Japan, Yamagata Prefecture has a very slow church growth rate. The largest evangelical fellowship here is our Yamagata Evangelistic Band, churches that fellowship with the Japan Conservative Baptist Association. In 1948, Joseph Meeko, missionary with the Conservative Baptist Foreign Missionary Society, and his family, along with Setsuko Suyama, a woman evangelist, began church planting in Yamagata. The work progressed so that in 1995 we had 14 churches, with 900 believers. Five of these churches have banded together to form our church-planting network. In order to maintain his fitness, one pastor took up jogging. He soon noticed that the same people were out enjoying jogging at about the same time every morning. Within a few days, he had become acquainted with these people. When he would feel tired and want to skip his exercise that day, he would remember his new friends. This pushed him to keep up his daily exercise. The church-planting network works the same way. Many churches have been started without any kind of a network. But it has taken an extraordinary amount of energy, time and sacrifice. However, if several churches band together around a vision to plant churches, a network can be formed. They can cooperate and encourage one another, greatly increasing the possibility of success. Our networking plan had a vision to plant churches, which in turn would plant other churches. Five churches in Yamagata (Shion Christ Church, First Bible Baptist Church of Yamagata, Zao Christ Church, Kaminoyama Bible Baptist Church, and Keisen Christ Church) formed this network in January, 1996, with the goal of starting churches which will in turn start other churches. The Japan Church Growth Institute of Asian Access and Robert Logan, a church planting consultant, joined us in this project. For the Yamagata Project, I, (then the pastor of Zao Christ Church) and Jiro Chida (Pastor of Keisen Christ Church) accepted the responsibility of serving as "Barnabas coaches." A key to successful church planting by networking is the Barnabas, the one who serves as coach. Through the Barnabas, we are encouraged and trained, and we grow in effectiveness and obedience. First, we held an explanation meeting in which we shared the vision for starting churches which will start other churches through networking. We decided on a three-year time frame, and recruited interested churches. One of the pastors served as the coordinator. Here is an explanation of the various meetings that took place. Once a month for over half a year, pastors, missionaries, church officers and interested lay-people gathered for worship, prayer, fellowship, and mutual encouragement. It was important to support our church planting by systematically preparing for the start. Once a month, the pastors gathered for a coaching time. There was time to share specific problems, encourage and pray for one another. Later this became the basis for the church-planting network. This began several months before the end of the Parent Church Network and continued to meet for two and a half years, every other month. Pastors, missionaries, church leaders and lay-people gathered for worship, prayer, and encouragement. It was a time to develop the vision, dedication and strategy for starting the churches. An important part of that strategy was the starting of cell groups. Also, there was a Barnabas coaching time for the church planters to have more detailed discussions. For our project, Asian Access' CM (Church Multiplication) Team provided one missionary family for each of the five churches. These missionaries served under the supervision of the responsible pastors. This church began in 1990, targeting the North Murayama Rural District (population: 100,000) and became an established church three years later. It joined the network with a goal to plant a church in the next city, Higashine City. In the fall of 1996, the Higashine Chapel was constructed. They are holding English conversation classes and evangelistic Bible studies, and have a Sunday afternoon worship service twice a month. This was the first Conservative Baptist Church planted in Yamagata, and is the mother church for all the other Yamagata churches. For this project the church targeted Sagae City, 20 kilometers away. They are holding English conversation classes and evangelistic Bible studies. The summer of 1997 they obtained a building that became the home for the Sagae Christ Church. They first met on Sunday afternoons, but this year moved to Sunday mornings, with the mother church's assistant pastor serving as the leader. This church was started by the First Bible Baptist Church in 1969, and is evangelizing a housing development on the south side of the city. Through the network, it targeted an area south of the present church. They rented an office that served as the missionary's home as well as the meeting place. They are carrying on English conversation classes, Bible studies, children's evangelism and cooking classes. November, 1997 saw a worship service begun that especially included children, and then in February, 1998, an adult worship was added. From August, 1998, they were able to rent a building for the church program, and so began Sunday morning worship services. 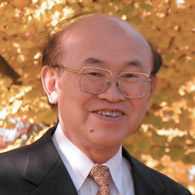 In April, 1999, Kohitsuji Chapel became an independent church, and the assistant pastor of the mother church was officially called as the pastor. This was the first church started by the First Bible Baptist Church. The children's nursery program has been their main evangelistic method. The church participated in the network with a goal to start a cell group church in the north section of Kaminoyama City. They are using English conversation classes, evangelistic Bible studies, and cell groups. Two cells have been started that are led by lay leaders, and they are seeking to begin more. This is the largest church of the Japan Conservative Baptist Association, and meets in three locations in Yonezawa, with chapels in Nanyo, and four prefectures (Ibaraki, Chiba, Kanagawa, and Fukushima). The church participated in the network, seeking to pioneer chapels in Nanyo, Nozawa, and Aizu. Regular Sunday services are being held at each location. A pastor has been called to the Nanyo Chapel, and the Nozawa and Aizu Chapels are under lay leadership. In March, 1999, a celebration was held in Yamagata City to bring the Yamagata Project to a close. We praise God for all He has done these last three years. However, our network goal has been to plant churches which would also plant other churches. Even though each of our churches was able to see new churches started, our original goal of the new churches starting new churches, resulting in grandchild churches, has not yet been realized. After three years, the new churches have not yet reached a place where they are stable and able to begin new works themselves. So the churches that participated in the first Yamagata Project, along with the new churches, have joined together to launch Yamagata Project No. 2, which started in April, 1999 and will finish in March, 2003. Shion is targeting Obanazawa City; First Bible Baptist will start a church in a town in the Sagae City area; Pastor Hiroshi Kawasaki, formerly of the Zao Christ Church, begins ministry in Yamagata City; and Keisen will begin outreach in Takahata, a town near Nanyo City. We have much for which to thank God when we see what He has done in Yamagata Prefecture, known for being a difficult area in which to plant churches. We pray that in every area of Japan, church-planting networks will spring up, and thus speed God's evangelization of Japan. This article first appeared in "Japan Update" Fall, 1999 (#38), published by the Japan Evangelical Association (JEA). Reprinted with permission.